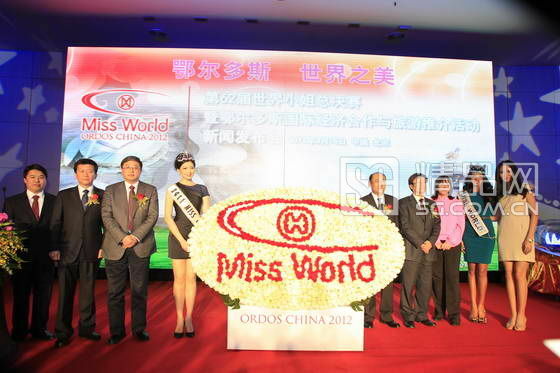 At the Beijing Media Center in Beijing happens the Official Launching of the 62nd Miss World Pageant with the presence of Julia Morley, president and CEO of Miss World Ltd; Ivian Lunasol Sarcos Colmenares, Miss World 2012; Zilin Zhang, Miss World 2007; Liu Chen, Miss China 2011; and Li Guojian, Vice Mayor of Ordos. Journalists and members of the press from all of China’s biggest news outlets such as Sina, Sohu, Xinhua, People’s Daily, CCTV and local media from Inner Mongolia attended the conference. The Dongsheng National Fitness Center Stadium in Ordos with a capacity of 50,000 persons will welcome almost 130 international beauties from all over the globe during a big Opening Ceremony on July 24. Weeks of activities await them as the contestants will learn all about Chinese and Mongolian culture during their stay in Ordos. Venezuela's Ivian Sarcos is visiting China as part of the promotion for the event. She will also visit Hong Kong. The finals of the world’s oldest and largest beauty competition will take place August 18 in the Dongsheng Fitness Center Stadium.